Miniature version of full size showcases are designed to merchandise smaller items and increase impulse buying. Glass Countertop Displays have strong, aluminum trim with black accents. 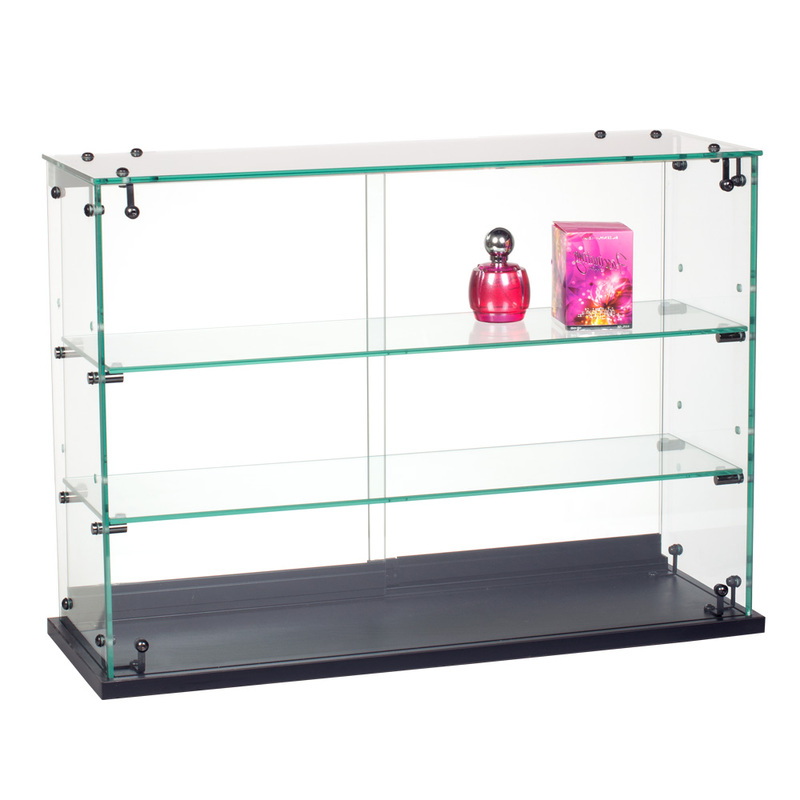 Glass Countertop Display features two height adjustable tempered glass shelves . A locking sliding glass door that includes lock for added security. This item ships fully assembled, but you can save on shipping costs by choosing local pickup at checkout.